1. Ladybug larvae resemble tiny alligators. 3. 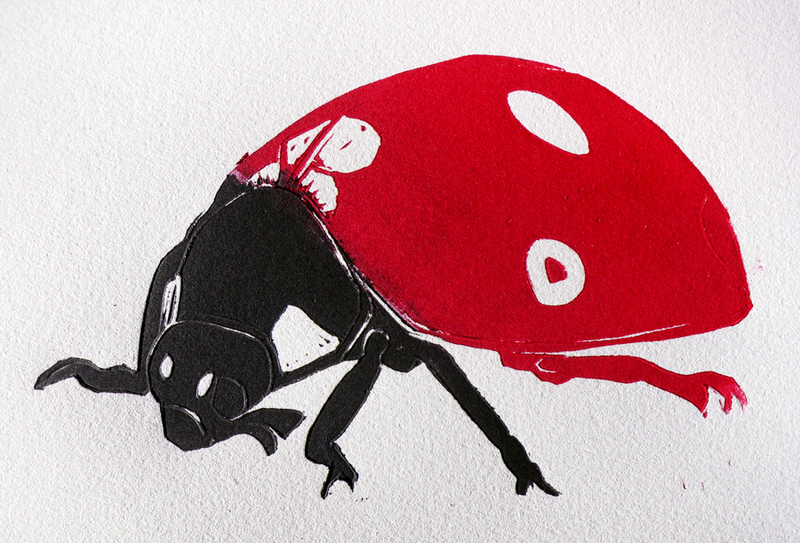 A ladybug’s bright colors warn predators to stay away? Weird isn’t it? Well not the bright color warning. 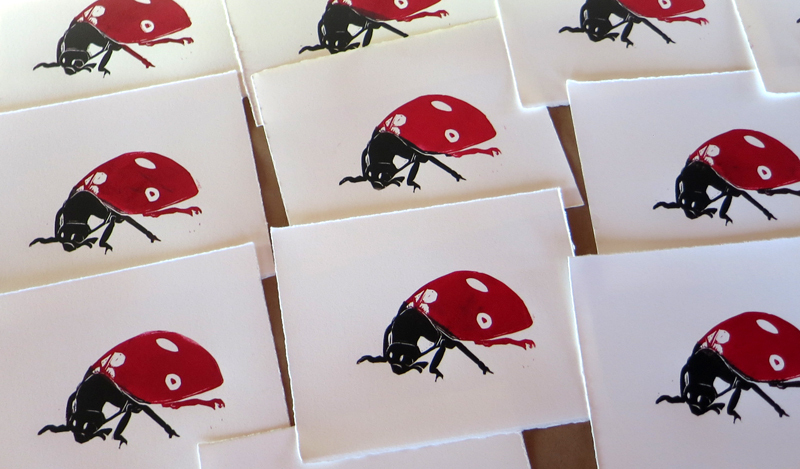 But these cute and bright ladybugs will not scare anyone away. January Project of 30 prints in 30 days, each one for $20. 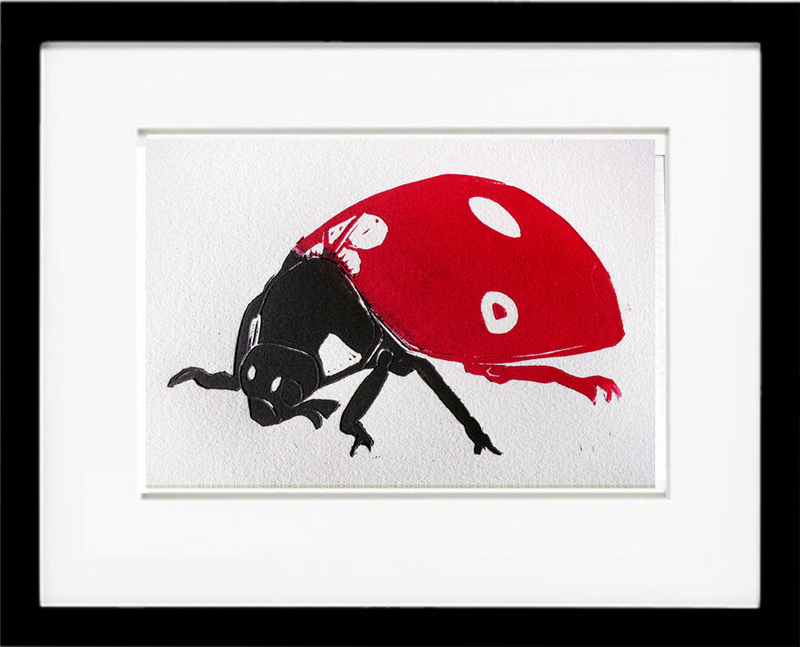 Ladybug is now available on my Etsy store. Each image is 4″ x 6″ printed onto 8″ x 10″ Rived BFK paper in an edition of 10. Today’s bonus print also on Etsy is a 4″ x 6″ image of a red peacock, printed onto 6″ x 10″ paper. 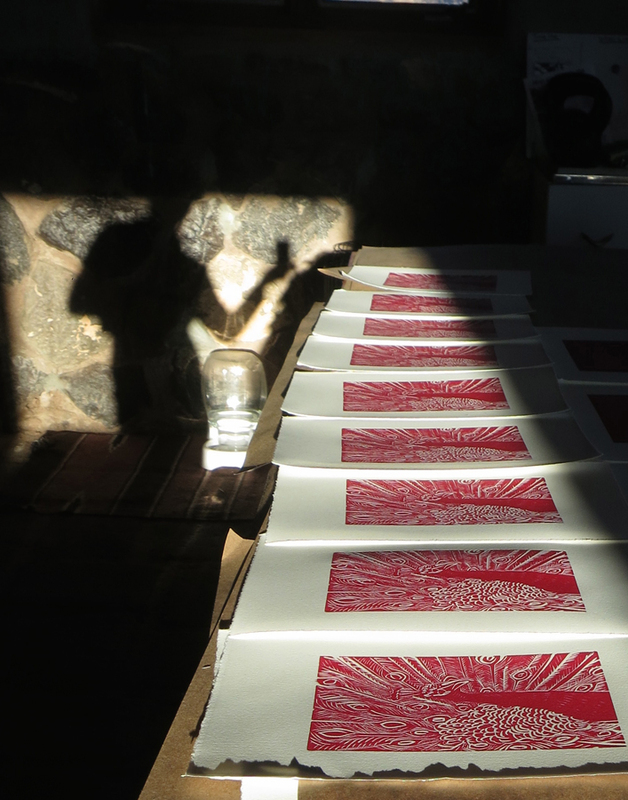 Here is a photo of them drying where I just happen to catch my shadow on the stone studio wall.